Referees: Denis Hadžić, Boris Hartman, Dino Barišić (all CRO). Venue: Dvorana Gradski vrt, Osijek (CRO). Scorers KK Vrijedosnice Osijek: Abu 23, Ihring 12, Gospić 12, Pavlović 10, Mandić 10, Vrkić 8, Šango 6, Darling 6. Scorers Arkadia Traiskirchen Lions: Manolović 18, Brcina 15, Schmit 14, Komazec 9, Andjelković 3, Duck 2. 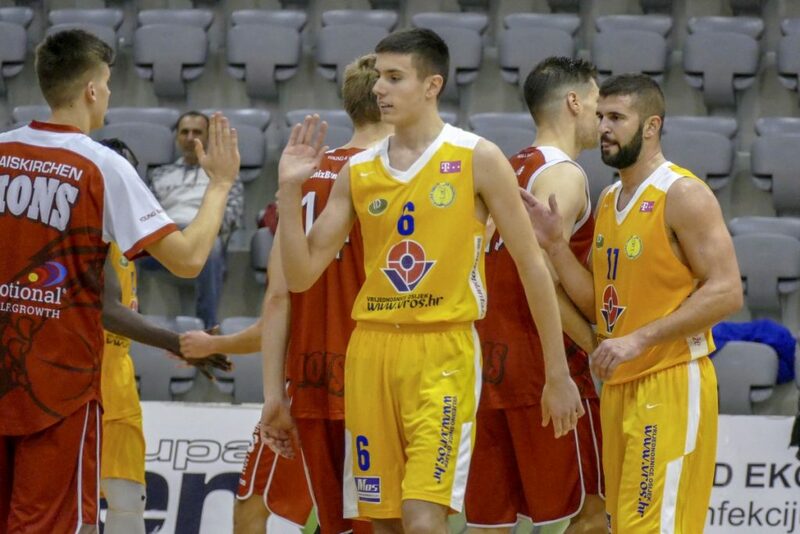 The beginning of the first quarter was equal for the both teams, but Pavlović’s scores led Vrijednosnice to an advantage of 12 points (27:15). The hosts, especially Abdul Malik, played much better game in the second quarter so the half-time ended with the result 50:31. The game continued in the same rhythm and the Lions tried to fight their way back, but hosts’ skillful and experienced game did not allow it and they kept their lead throughout the entire game which ended with the result 87:61.